“On November 28, the Government will offer a formal apology to LGBTQ2 Canadians in the House – for the persecution & injustices they have suffered, and to advance together on the path to equality & inclusion,” announced Trudeau in a post on Twitter, Sunday. “LGBTQ2” stands for lesbian, gay, bisexual, transgender, questioning (or queer), and two-spirit. The Canadian Centre for Gender and Sexual Diversity (CCGSD) is currently allowing Canadian citizens to request tickets to attend the apology, and even apply for “travel subsidies,” however the apology will also be available to watch online. 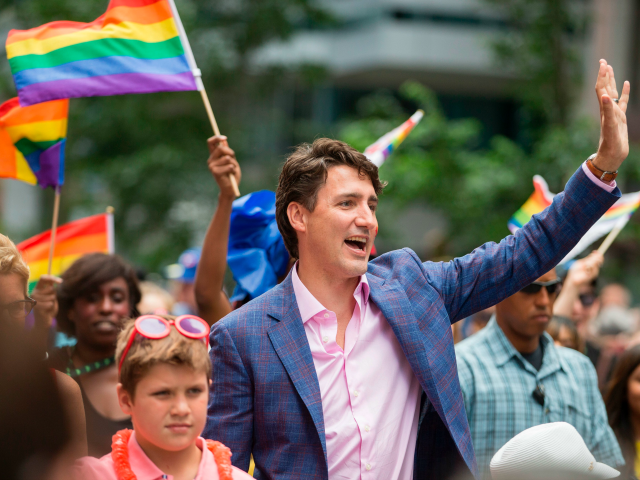 Trudeau has previously praised Communist dictator Fidel Castro, whose regime rounded up, persecuted, and even murdered gay people, while in June, he wore a pair of Islam-themed Ramadan socks to a Toronto LGBT Pride parade.